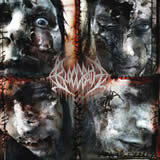 Due to popular demand based from their Breeding Death E.P., Bloodbath has finally released a proper full-length. Bloodbath is of course a super-group featuring Mikael Akerfeldt and Dan Swano, whose names should be familiar to all of you. Rounding out the line-up are members of Katatonia (both Akerfeldt and Swano were members of Katatonia at one time). Contrary to what individual members do in their current band(s), or even their old band(s) for that matter, Bloodbath play straightforward, Swedish Death Metal. So immediately memories of early Entombed, Carnage, Grave, and Dismember come to mind. Everything from the song arrangements, the guitar tone, and the very subtle melodic properties are present. The Breeding Death E.P. was very well received, but many, including me, wondered if Bloodbath could release a full CD worth of solid tracks. The answer is almost. I say almost because there are some pure killers on here. The best aspects of the CD are the guitar tone (which is very thick, in the classic Carnage and Entombed way) and the vocals. Akerfeldt has got to have one of the most menacing Death Metal vocal styles ever. And the best part about it is you can still understand the lyrics. Clever use of echo and doubling only add to the atmosphere, just check out Like Fire and Mass Strangulation. But, not only is the style excellent, but the phrasing is top-of-the-line as well. Never before has Death Metal been this catchy from a vocal stand point. Likewise, the riffs aren’t your typical Death Metal chugging either, if you’ve listened to old Entombed or Dismember you'll have a good idea of what they sound like, because the chord progression is almost exactly the same; the best example of this style can be found on Buried By The Dead. The songs have nice variation from a tempo standpoint: with double bass, mid-paced crunchers, and slower, almost Sludge sections all woven into each song. Subtle ‘dark’ melodies are of course used, but not quite as much as in Dismember. The songs, individually, do have a unique feel thanks to the vocals/phrasing and song arrangements, despite not one song getting overly complicated or fancy; this CD should instantly grab you by the neck and refuse to let go. So with all these features coupled with solid performances from everyone and superb production, why do I say Bloodbath almost made a CD full of memorable tracks? I can’t quite put my finger on it, but there are certain sections (not really whole songs), which just don’t seem be as well thought-out; a rushed feeling is almost present (the weakest track is actually first one). I didn’t really notice it until after the 2nd listen, in fact, I don’t even care that much, but if you really want to pinpoint something bad about the CD that would be about it. When I got through my first listen, thoughts of “CD Of The Year” came to mind, and in my opinion Resurrection Through Carnage is definitely a contender. Though repeated listens did drop the score a bit, but not by much, this is still a kickass CD from a band paying tribute to the old Swedish Death bands… besides, Like Fire and Mass Strangulation are just amazing songs, to name a few.